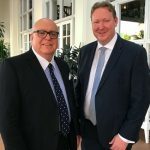 Travellers Choice has confirmed the appointment of its new chairman, announced a new technology tie-up and named the winners of its Choice Awards program. At its annual general meeting in Cairns, the company confirmed Trent Bartlett as it new chairman, effective immediately, succeeding Trish Ridsdale who has held the position for 11 years. Bartlett has almost 20 years’ experience working at board and chief executive level in a range of industry sectors – from tourism and retailing to banking and agriculture. He has worked with Co-operative Bulk Handling (Australia’s largest cooperative) and customer-owned Beyond Bank. 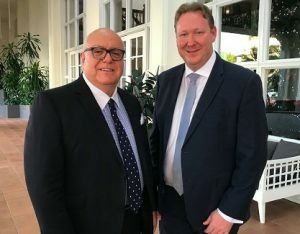 His connection with Travellers Choice stems from 2001, when he took over as chief executive of Perth-based automotive cooperative Capricorn Society, parent company of Capricorn Travel. Capricorn Travel has been a Travellers Choice’s member for more than 30 years. “Trish has been an exceptionally effective Chairman who has transformed the Company’s Board through an absolute focus on governance processes and a determination to ensure the Company is risk aware and strategically savvy,” Hunter said. During the Shareholders’ Conference in Cairns over the weekend, the group unveiled a new exclusive arrangement with Wetu Travel Technology that will see its members gain access to simple but highly effective itinerary building software. Wetu Travel Technology’s Itinerary Builder software saves travel agents time by enabling them to generate highly-professional itineraries featuring a range of content, including images, maps, videos and virtual tours. Multiple copies of an itinerary can be created, allowing agents to present clients with variations based on alternative properties, room types or budgets. Hunter described Wetu’s Itinerary Builder as a highly effective sales tool that helped users convert around 30% more inquiries into bookings. 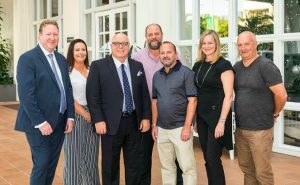 2018 Travellers Choice board (left to right): managing director Christian Hunter, Trinity Hastwell (Hastwell Travel & Cruise), chairman Trent Bartlett, Greg Close (Easy Travel & Cruise), Phillip Dalley (Travel Makers), Jacqui Wilson-Smith (independent director) and Mark Brady (Cruise & Travel). Meanwhile, 30 high-flying Travellers Choice members will be exploring the Orient, cruising down the Rhine or embarking on an experiential journey through the heart of Australia in 2019 after being named as winners in the national retail travel group’s celebrated Choice Awards program. As well as winning spots on dedicated educational trips, recipients join exclusive sales incentives and receive service grants worth up to AUD 1500 per agency, which they can use towards member services. This year’s 10 Gold Choice Award winners will sail in April 2019 on an eight-night luxury Azamara Club Cruise from Hong Kong to Japan. The 2018 Silver Choice Award winners will also be cruising in April, when they embark on an eight-night voyage along the Rhine as guests of APT. This year’s Bronze Choice Award winners can look forward to a coast-to-coast adventure with Journey Beyond – one of Australia’s leading experiential tour operators.